The Handle System provides unique and persistent identifiers of digital objects. We use it to provide your data with a permanent identifier in the for of URL that will always point to the data, wherever it moves in the future. Thus you can safely use the Handle to point to data for instance in publications. 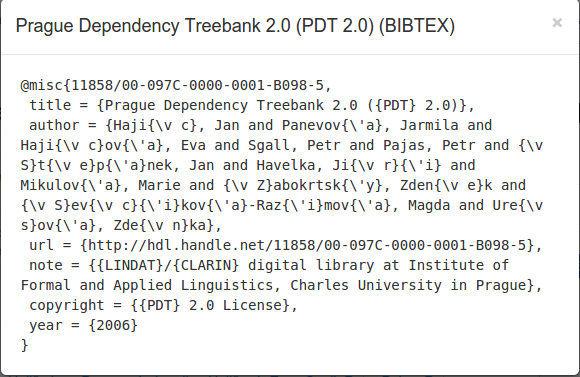 An item can be exported in BibTeX format. A link to an export is provided in the citation box (see above image). On clicking the link to "BibTeX", formatted bibtex in export format will be displayed.